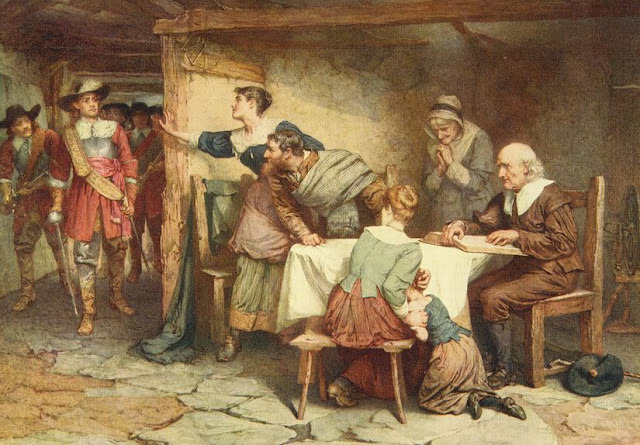 In order to understand what is meant by "Covenanting Times’ we must imagine ourselves to be watching a scene in the church of St. Giles in Edinburgh in the summer of 1637, when King Charles I. is reigning in England. The Dean of St. Giles is preaching, in a white surplice, not in the black Geneva gown approved of by those of the Reformed Church. 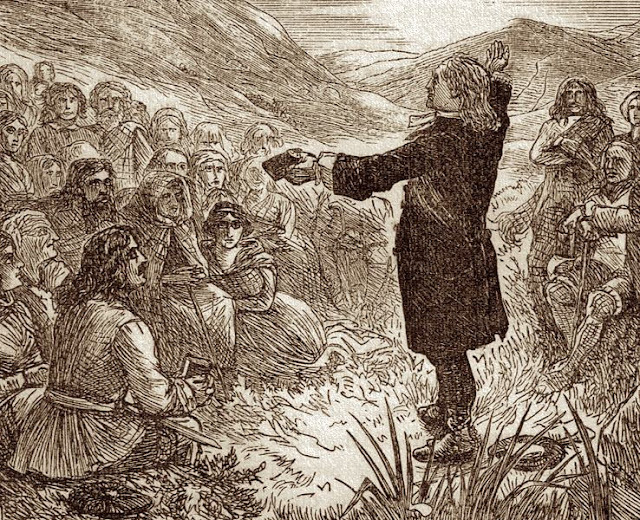 Suddenly, a stool flies at the preacher’s head, not striking it, indeed, but other stools follow till the place is in an uproar ‘and the Dean is fain to come out of the desk and pull off his surplice for fear of being torn to pieces.’ And even when the Bishop tries to speak from the pulpit sticks and stones flew at him till at length both Bishop and Dean were obliged to give over and retire to the vestry.’ So runs an old account of the matter. We may laugh at such doings, we, in our easy-going tolerant days, but it was all deadly earnest to the citizens of Edinburgh. For here was King Charles, a Stuart too—I knowing his Scots so little that he was ordering them to use the English Prayer-book, to clothe their ministers in white surplices and to conduct church services with such ceremonies as seemed to them just ‘Popery’. And hence some six months later, another scene for us to watch. Let us pass over the years of Cromwell; it is now 1660 and a Stuart King, Charles II., has returned to Whitehall. A tolerant, easy-going man, very different from his father, he would not himself have persecuted men for their religious views. But members of his Government believed it necessary to enforce one kind of religious observance on the two countries, England and Scotland. 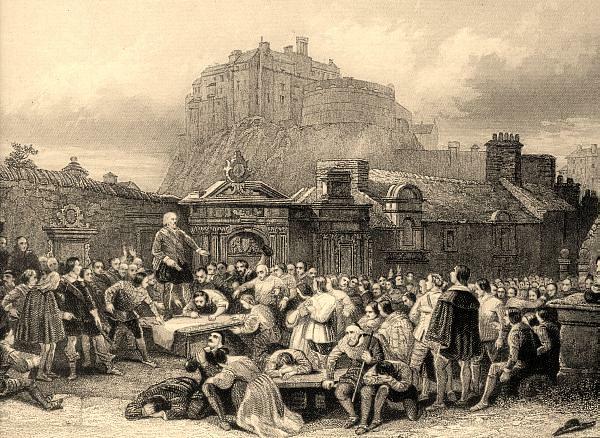 In Scotland, for the most part, there was far less of resistance than in the days of Charles I.; the new generation of men were less stern, and less united against the English law; the great mass of Scotsmen ‘sullenly submitted,’ as Macaulay says. 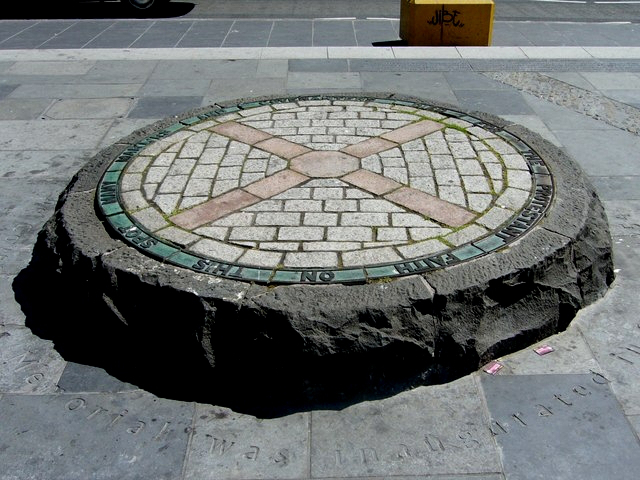 But in the south-western counties of Ayr, Lanark, Wigtown, Kirkcudbright and Dumfries, the old Covenanting spirit lingered on. The farmers of the countryside, the craftsmen of the little towns, and even some country gentlemen or lairds were resolute in their own way of worship. And equally resolute were magistrates and judges to stop all preaching and all worship other than that allowed by law. The most trivial acts of disloyalty were punished, such as refusal to drink the King’s health. Men and women, and quite young persons suffered imprisonment and death. The story of two of these is accurately known. Margaret Wilson was the daughter of a yeoman farmer in Wigtownshire. 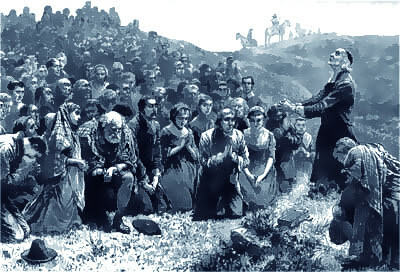 Her father and mother followed the worship allowed by Government, but as Margaret grew up she became attracted to the teaching of the Covenanters; she persuaded her younger sister and brother, Agnes and Thomas, to go and hear the fervent prayers and sermons which she loved. After a time these three young people—Margaret herself only eighteen—left their home and wandered about, sheltering in woods and caves and begging food from fellow Covenanters. 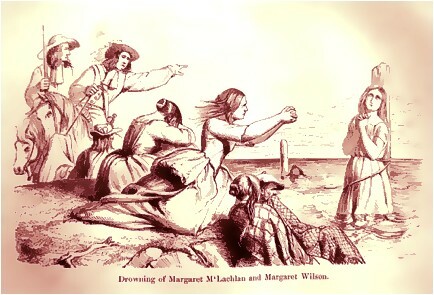 In Wigtown they were befriended by an elderly woman called Margaret McLauchlan who was bitter against the Government, and in the spring of 1685, the latter, and the three Wilsons were arrested on a charge of rebellion. They were lodged in the tower of Wigtown kirk—often used thus in those days—to await their trial. The two younger Wilsons were ‘bailed out’ by their father, but Margaret and her older friend refused to yield. In April they were condemned to death by drowning. However, a pardon was asked for from James II., now King of England, and it is probable that such a thing would have been granted—or at least, a lighter sentence. Those in authority were merely enforcing the law as it stood. The request had to be forwarded to Edinburgh and thence to London, some 400 miles and back again, in days when the quickest travelling was on horseback over bad roads. We do not know why, but before pardon or reprieve arrived, the officers of Government in Wigtown decided to carry out the death sentence. The town of Wigtown stands on the edge of a broad inlet, Wigtown Bay, where the river Blade meets the sea; this is an arm of the Solway Firth. Hence, these brave women are known as ‘The martyrs of the Solway.’ As in many river mouths, there are here wide sands washed by the tide twice every day. This was the place for the death sentence to be carried out. 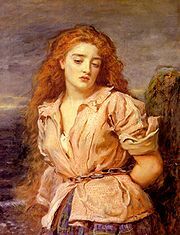 ‘I am Christ’s,’ murmurs the girl: ‘let me go.’ And the waters close over her, for the second time—the last.